Whenever we get around to any of the key tech conferences throughout the year, it seems that one man in particular always has some of the best news to share as part of his keynote. 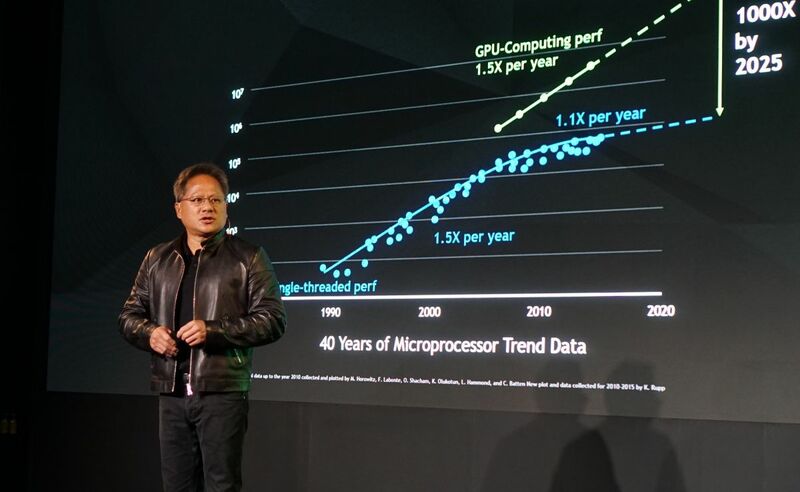 That man is none other than NVIDIA CEO Jensen Huang. Whether it’s the announcement of Project Holodeck, Max-Q Design, or a myriad of advancements regarding the future of GPU computing for AI, Deep Learning and autonomous vehicles, NVIDIA never ceases to disappoint when given the opportunity to step onto any stage. The PC gaming enthusiast community had been teased earlier this year at CES when NVIDIA had unveiled the world’s first 4K G-SYNC enabled monitor running at a 144Hz refresh rate with HDR. For some, such high-end 4K gaming monitors are exactly what they’ve been waiting for, but for others, there was still a void for what would be next, and the wait would be just under five more months. The wait is finally over in the form of the new Asus ROG Swift PG35VQ. NVIDIA called out the use of more recent Quantum Dot LCD technology with this monitor which means it’s most likely a VA (Vertical Alignment) panel vs. the more well-known IPS or TN panels. Combined with HDR, the result is stunning quality that you would expect from the rich (but more expensive) IPS panels with the response time associated with gaming-centric TN panels (and often cheaper than IPS but lacking in color depth). This “best of both worlds” combination is sure to lead the way for the foreseeable future when it comes to the panel type that will end up in a majority of similar displays. As a life-long PC gamer and die-hard tech enthusiast, I’ve always been a fan of Asus and their efforts to always be ahead of the curve when it comes to displays in general, much less the higher-end panels designed for serious gamers. Since the inception of G-SYNC in 2013, Asus have remained “king of the hill” when it comes to ensuring gamers have the absolute best overall, most immersive PC gaming experience possible. As such, this would explain why for going on two years now, I’ve often centered any tech refresh or new build around an Asus display as the centerpiece. Today, my current setup consists of an Asus ROG Swift PG348Q Ultrawide as my primary display. It is surrounded by two Asus MG279Q displays that I have become quite fond of since their purpose is that of just general use instead of gaming. I originally had two Asus ROG Swift PG279Q displays before making the jump to ultrawide (not before actually giving up on it, to be honest) but once I gave it a legitimate shot, there was no turning back. The PG279Q displays were sold off and traded out for more “practical” models and the PG348Q Ultrawide happily takes whatever my GTX 1080 Ti can throw at it. Granted, the PG348Q has a max refresh rate of 100Hz and even most new AAA titles can cap out at 100 FPS with the highest graphics settings. There’s no doubt that the PG35VQ will be the perfect upgrade for anyone that’s been using the PG348Q for a while now. Admittingly, having seen the recent launches of displays – like the PG248Q and its 180Hz refresh rate and also the PG258Q at a whopping 240Hz refresh rate – made me a bit envious despite their 1080p max resolution. I can confidently say that Asus and NVIDIA have erased every bit of that envy with this gem. 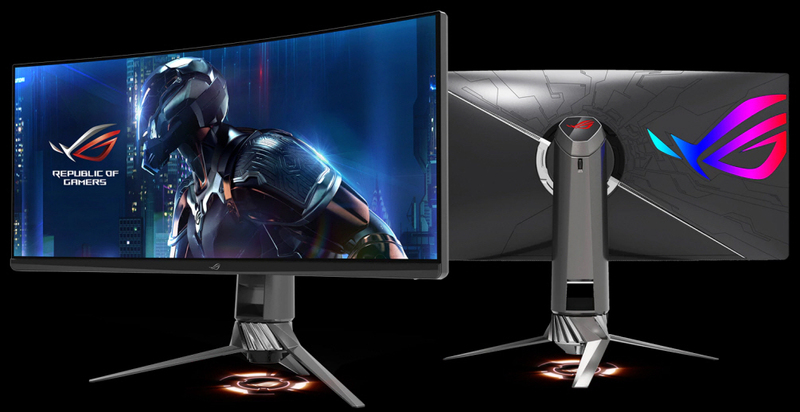 More details regarding the Asus ROG Swift PG35VQ announcement from Computex 2017 can be found at the official Asus ROG Swift product site. No official word on price just yet, but I wouldn’t be surprised if we saw this bad boy command upwards of around the $1,500 – $2,000 range. Copyright ©netappseal.com All rights reserved.